Today I have done five loads of washing. The back from holidays wash! Today we are sorting through pencils and textas, sharpening the ones that are blunt and tossing the ones that don't work. Today I am in pjs at lunchtime. If I'm honest, that's not unheard of around here. Today I am sorting out the tupperware draw. Is yours a crazy mess too? Today the kids are getting ready for school. They are excited about new lunchboxes, new friends and old and new teachers. 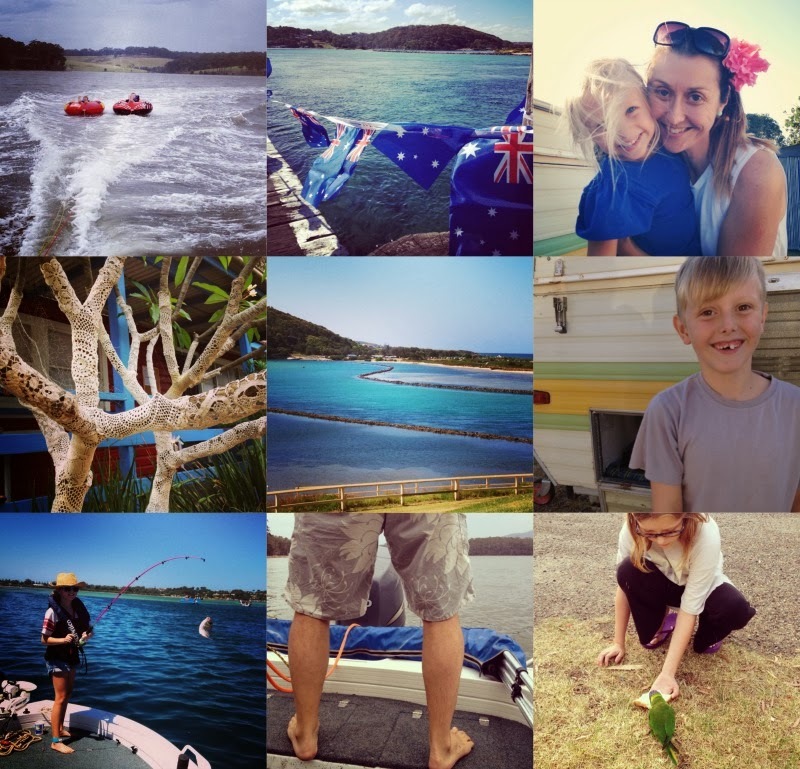 I'll leave you with some snaps from our long weekend. It was a nice end to our school holidays. A change of scenery, salty air and cool breeze. My gang were starting to squabble and it was driving me a bit mad. They are ready for new adventures and a bit of routine. And I think I might be too. Love the doylie decorated tree. Looks like you had fun!